It seems like I'm always on the search of a good pore care product, despite the fact that I've been disappointed by many. What can I say, small, clear pores are everyone's skincare goals, right? I've tried a few products that did an effective job at temporarily tightening my pores, but have yet to find one that does the job at getting out all the gunk, sebaceous filaments, and whatnot out of them. 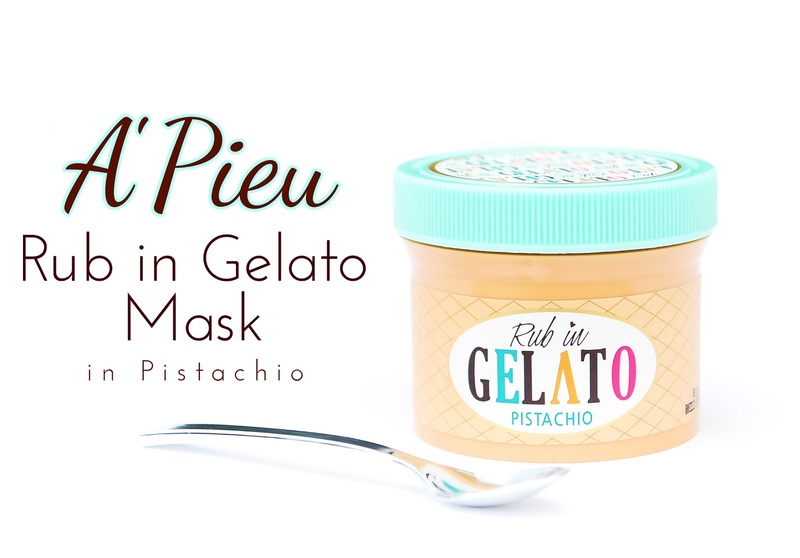 I was gifted this A'Pieu Rub in Gelato Mask in Pistachio when I met up with Alice last summer in Seoul. To be honest, until Alice took me into an A'Pieu store with her, I never went into one because the brand never quite interested me before. I probably walked past the store more than ten times, I just didn't walk in. Thinking back on it now, I wish I did spend more time testing out their products in the store, cause they're pretty cheap and have decent quality. Kind of like Etude House, actually. Adzuki Bean Powder- Also known as red bean powder, this ingredient is commonly used as a gentle exfoliator. It's supposedly effective at removing dead skin, unclogging pores, and promoting circulation. Ethanol- If you have sensitive skin, this might be an ingredient that you want to avoid. Although some alcohols aren't bad, ethanol evaporates quickly and can dry out skin because of that, thus irritating sensitive skin. Of course, all skin types should avoid irritating ingredients, even if it doesn't have an immediate, visible effect on your skin. The fact that this is listed as the fifth ingredient is concerning, although luckily I didn't break out from using this product. Cetearyl Alcohol- This is a fatty alcohol that is well known for its moisturizing properties, and a great ingredient in creams for people with dry skin. However, even though it's usually non-irritating, that isn't always the case. If you know that cetearyl alcohol irritates your skin, then steer clear of this mask. Pistachio Extract- Pistachios are high in Beta Carotene, which has antioxidant properties and is a precursor for Vitamin A. In addition to helping you maintain healthy skin, beta carotene also supposedly helps with hyperpigmentation. 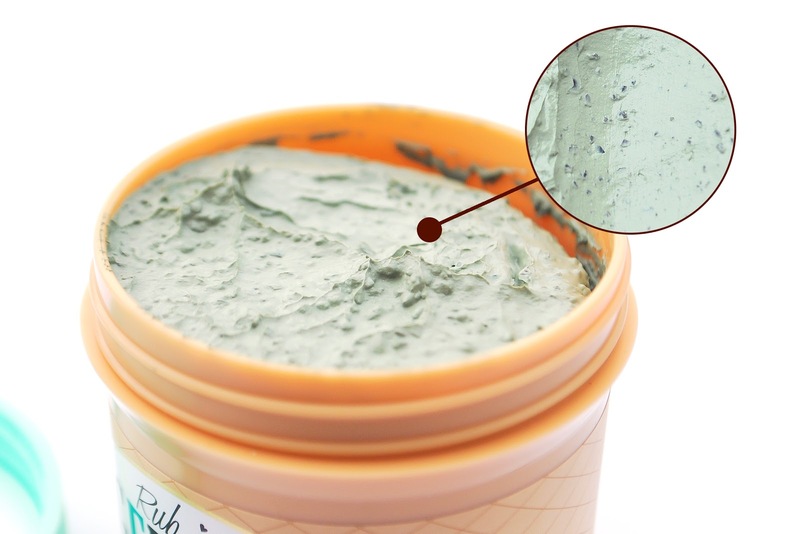 "Green Clay"- This isn't listed in the ingredients list, but according to A'Pieu this is a mixture of Bentonite, Kaolin, and etc. Huh... not sure what the etc. could be. 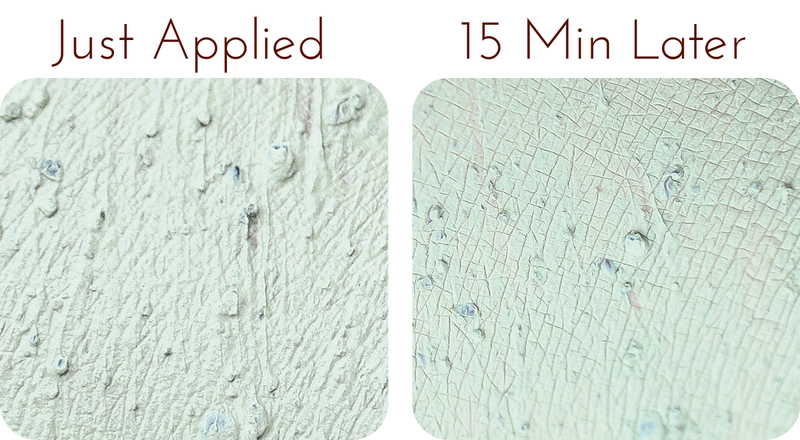 However, A'Pieu claims that this green clay is effective at pore cleansing, pore minimizing, and sebum control. Seeing as to how bentonite and kaolin are both clay-type ingredients, and bentonite is effective at removing impurities in pores while kaolin works at absorbing sebum and cleansing pores, green clay is probably a good thing. 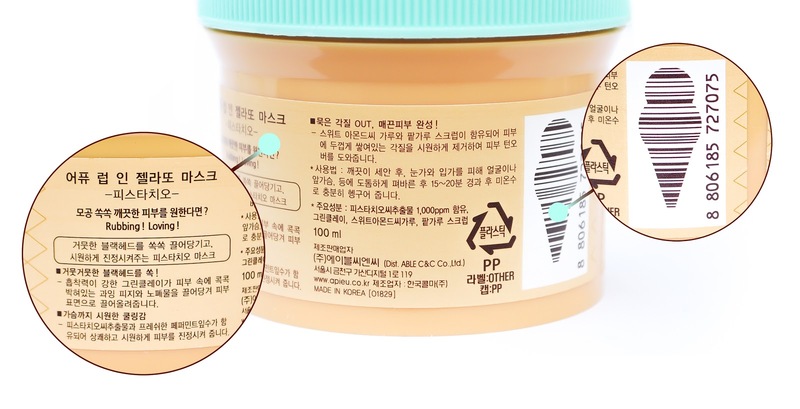 According to CosDNA, this product contains several ingredients that are low potential skin irritants and acne-causers, and some that have a yellow flag in terms of safety. In other words, extremely sensitive, dry skin should not use this product. And if you know that any of the ingredients listed above irritate your skin or causes it to break out, then avoid this. The packaging for this mask is really adorable! 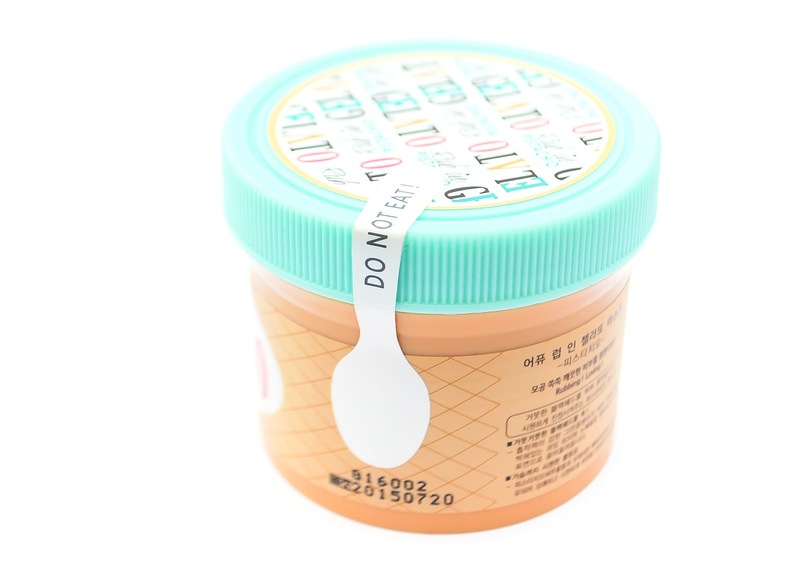 There's a sticker in the shape of a spoon with the warning "DO NOT EAT!" printed on it as a warning to those who mistaken the mask as a tub of gelato. My dad actually did think this was gelato because of its name and packaging, haha. How adorable is that? The barcode is in the shape of an ice cream cone! The tub is made out of plastic with a screw on lid, so it's pretty sturdy and safe to travel with. It's not bulky either, which is a plus. The mint blue lid, colorful text, and waffle cone details on the front of the tub gives this product a fun and cheerful vibe. And skincare should be fun! Here's how the mask looks in the tub! The little bits of black you see are the adzuki beans. They may look hard and harsh, but they're actually semi-soft and very gentle. The scent of this product is... hard to explain. I really don't like it. I was expecting this to smell really good because of its name, but the scent is nothing that you'd expect gelato to smell like. It's kind of unpleasant, and has a sweet minty undertone that would normally be okay but it isn't because the main scent is just so weird. Feeling like a failure of a blogger right now because I just can't describe it, haha... sorry guys. >__< Luckily the scent isn't very strong, but it's noticeable, and you'll definitely smell it until you wash it off. It becomes less noticeable as time passes, but even once it's dried it's still there. I've kind of gotten used to it now since I've used it so many times, but it still doesn't smell that great. This mask is really easy to spread and apply. It's soft and dries quickly, probably because of the ethanol that's in it. You're supposed to leave it on for 10-15 minutes, then wash it off with warm water while massaging your skin so that way the adzuki beans can do their job at exfoliating your skin. When you apply it there's an immediate cooling sensation thanks to the menthol ingredient (aka mint), almost like as if you just applied ice cream to your face. It's actually a little strong, and the first time I used it it was borderline unpleasant because it was super cold in my house at that time. I imagine that this would be very refreshing to use during the hot, summer season, but in the winter, especially if you live in a place that snows, you probably wouldn't want to use it. This cooling sensation lasts the entire time you use it. So how effective was this mask at clearing up my pores? Not so great. I haven't really been taking care of my skin lately because I've been busy, so please excuse the poor condition of my pores! For its price, this mask wasn't that bad. It was actually pretty good at drawing out some sebaceous filaments (the little white dots you see in the after picture), but for deep cleansing this isn't it. What I actually like about this is that it's a great at gently removing dead skin cells. The adzuki beans are perfect for sensitive skin like mine which breaks out from using more abrasive exfoliators such as sugar, so I did enjoy using it to exfoliate my skin. However I can get an actual exfoliator for doing that, and not a clay mask that's meant for pore cleansing. My pores don't look noticeably tighter after use, and this does nothing for me in terms of sebum control. The good news is that it didn't break me out. I might keep using this just as an exfoliator, since I currently don't have a physical exfoliator at the moment and I do like how gentle and effective it is at removing dead skin cells. But if you're looking for a good pore care mask, I suggest you look somewhere else. I'm not disappointed by this since I didn't have any expectations, but I will not be repurchasing this. I wouldn't recommend this either to anyone with dry, sensitive skin. If you have normal or oily skin and want something that would work as a daily pore care treatment and daily exfoliator, you might like this. But for me, when it comes to pore care masks, I expect something that is effective at unclogging my pores, clearing them out, and tightening them, and this just doesn't do any of that. Alas, my search for the best pore treatment mask continues. Do you guys have any favorite pore care products? If you do, let me know in the comments below! I'd love to hear about them! I'm thinking about trying Primera's clay mask next because they're one of my favorite skincare brands, but since I have other products from their pore care line I'll probably try those first to see how effective they are, and decide then.